We are pleased to welcome Kim Ondrik, Principal of the Mill Bay Nature School into the Cowichan Valley. Kim has now arrived and has hit the ground running. On Thursday, May 17, 2018 many parents were notified about whether their child was accepted into the school for Fall 2018, or wait-listed. If you did not receive an email, it may be because we have the incorrect address. This issue is being sorted out today. It is our hope all families will be notified by this evening (Friday). All parents and community members are invited to attend an information session on Tuesday, May 22, 2018 at 5:00 p.m. 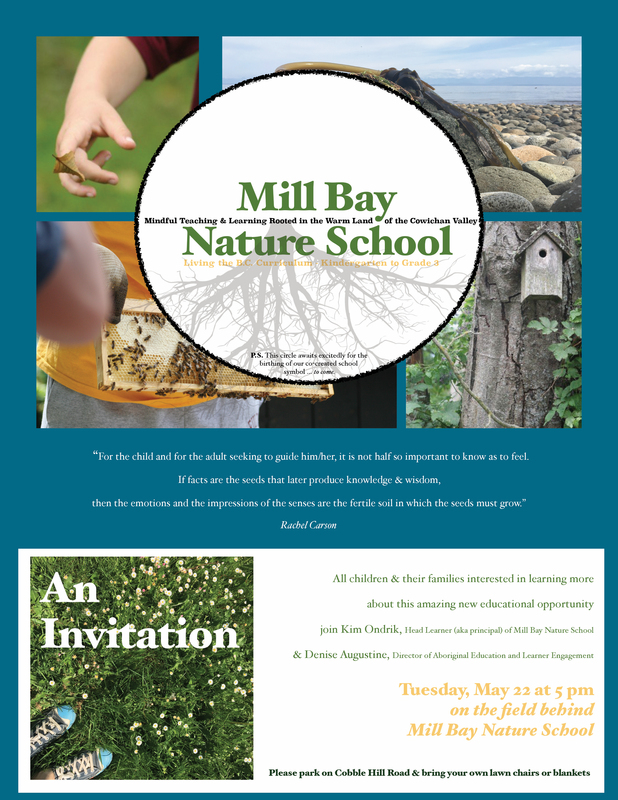 This will be held on the Mill Bay Nature School field, so please bring a blanket or lawn chair. 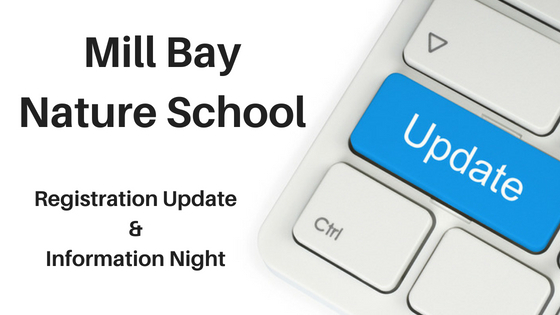 Parents who have been offered a spot at the school for September will have 24 hours from the information session to accept or decline the spot. As we have a lengthy waiting list, especially for Kindergarten, we ask parents to please let us know as quickly as possible of this opportunity doesn’t sound like the right fit for your child. We look forward to meeting the families and children, and hope you’ll join us on Tuesday!